Throughout the year there are a wide range of contemporary art courses to be found at Lindfield Art Studio. 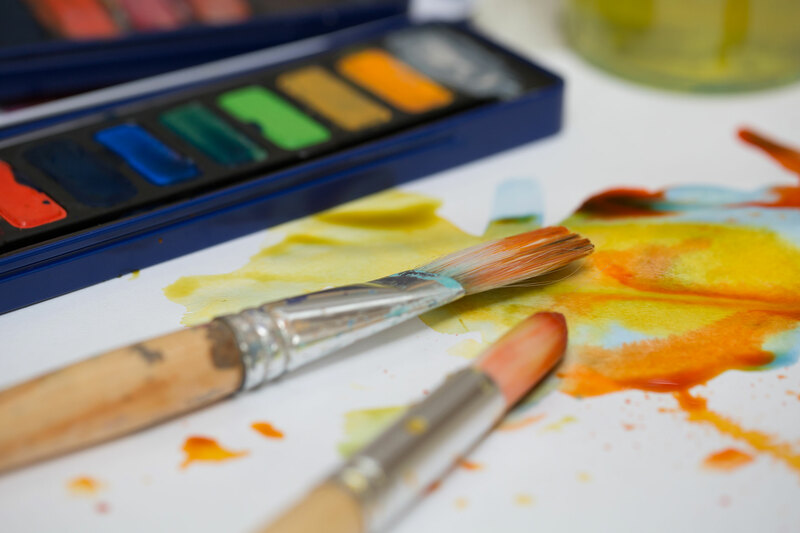 Ten week courses of mixed art sessions – oil and soft pastels, acrylic painting, pencil drawing, Ink & Wash, clay sculpture, life drawing and much more! A great way to try a little of everything the Studio has to offer. Each course is fun and aimed to develop your own individual creativity, whether you are a complete beginner, looking to broaden your art ability, learn new skill or just meet new friends. £22 per session with all your materials, equipment and inspiration included! Along with tea, coffee and homemade cakes. If you would like to join the Studio mailing list please contact us to give us your email address. Whether you are a practicing artist, beginner or just want to try something creative – Come along to the new drop in evening sessions. 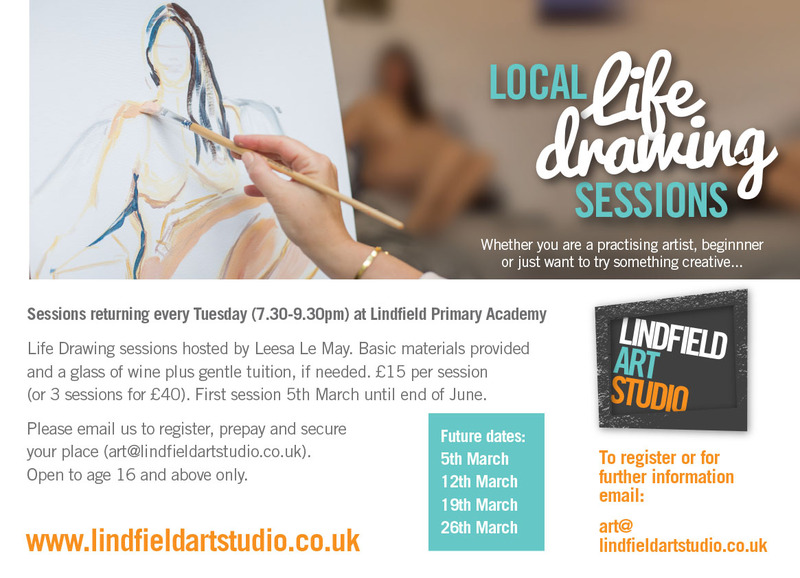 We will be running our next set of life drawing sessions from 5th March 2019 – please email us if you would like to be added to our mailing list. All basic materials are provided, along with gentle tuition from Leesa Le May if required. You will also receive a glass of wine for inspiration! 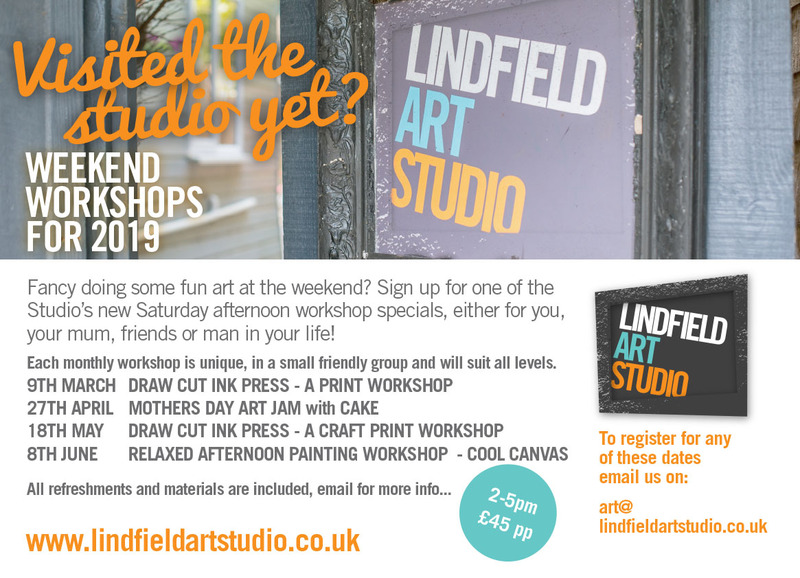 One Day Art Workshop Specials – new for 2019! We would like to offer you the opportunity to attend a one day art workshop at the Studio with Leesa Le May. The workshop will give you the opportunity to explore drawing and sketching with charcoal and graphite – learn new techniques in acrylic painting – refresh your existing painting skills and give you a new direction or an opportunity to just get creative again. You will leave the workshop with a fantastic canvas you have created with your new found skills. A fun workshop for all levels, beginners and improvers! Places are limited so the first 3 dates for your diary are listed below. If you would like to book a place on one of the workshops please email us for a booking form. Morning biscuits, afternoon cakes and refreshments will be served for inspiration but a packed lunch may be needed to carry you over lunch time. We look forward to seeing you at the Studio on this exciting day course!